I was thrilled to photograph Jodie and Deano's wedding a few weeks ago. The White Hart Hotel located in Lincoln was a perfect choice for the wedding a stone throw away from the stunning cathedral! I always wanted to photograph at The White Hart Hotel but never had the chance, until now, I hope that I will get more opportunities to photograph weddings there in the near future. 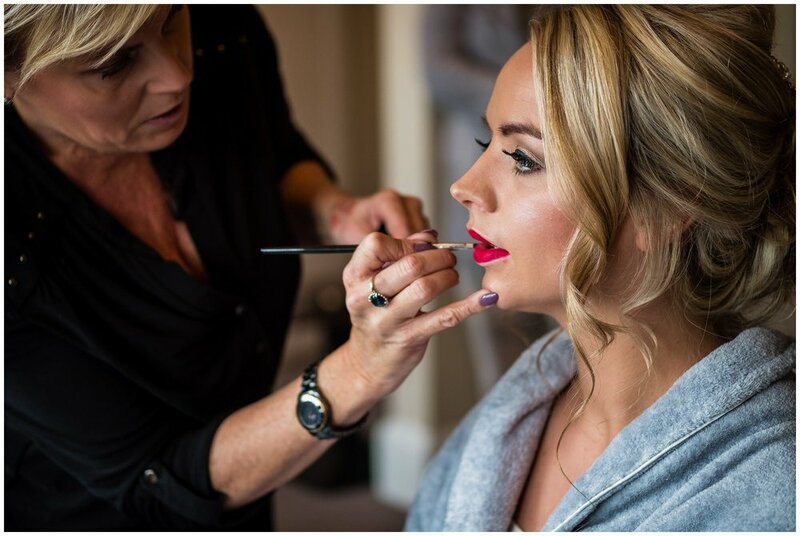 Jodie got ready at The White Hart Hotel on the morning of the wedding. 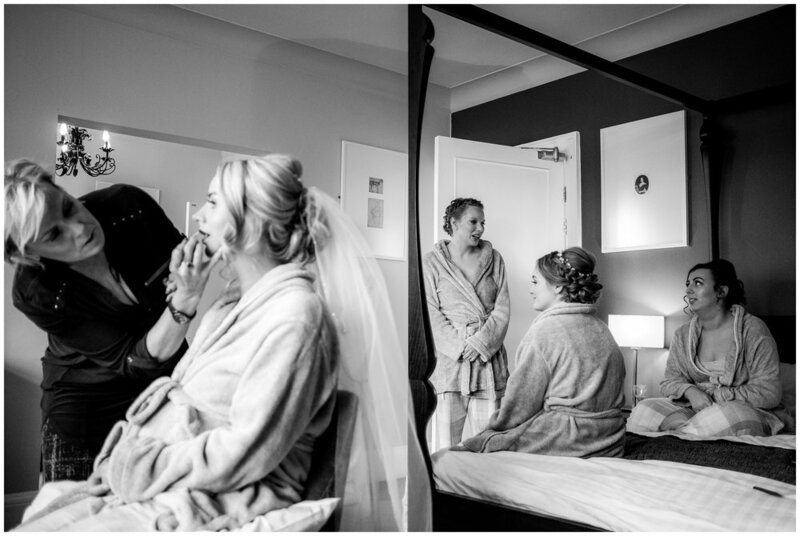 I enjoyed photographing the story as it developed whilst the bride prepared, evening capturing little moments of her eating her sausage roll! 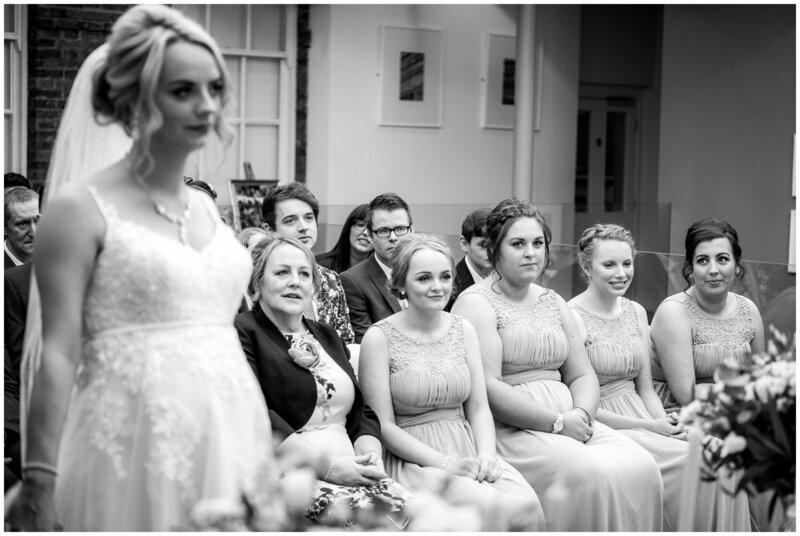 As Jodie was 30 weeks pregnant at the wedding it was super important to her energy levels up! The service was stunning and friends and family were deeply touched when the newlyweds said their vows and the registrars humour was very welcoming to calm any nerves. It's so much fun photographing weddings in Lincolnshire, I truly enjoy every wedding I work on. Guests took photos with the couple while at the reception. The reception was full of fantastic energy and joyful laughter. 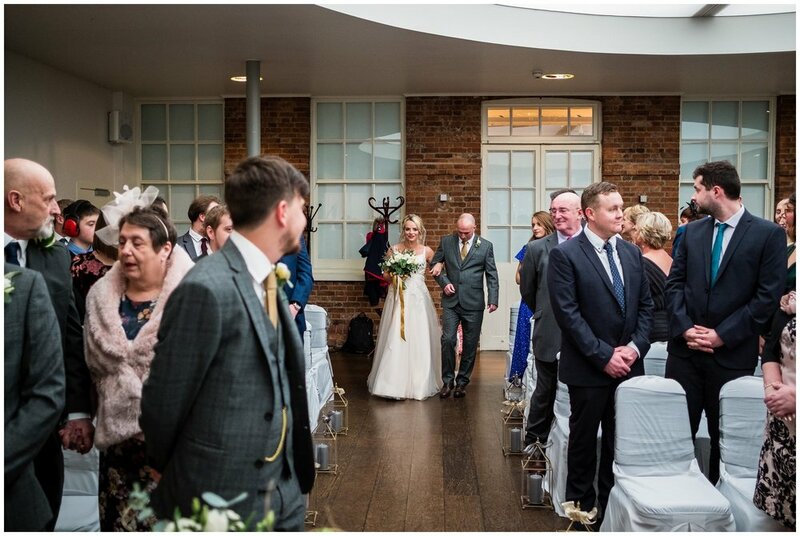 All these memories will last a lifetime, that is why each wedding has its own story to tell and why the drinks reception is the perfect time to capture some natural moments of guests enjoying themselves. It is a delight to photograph Winter weddings. We had a fairly cloudy day, but clouds are great for soft light, creating great light for the photography and Jodie and Deano braved the outside to get some stunning portraits around the city! I could shoot at the cathedral all day as it's colours look amazing in photographs. Speakers made their speeches immediately after the wedding breakfast. It's a special privilege to be invited to document the speeches as they often contain very personal moments. Once the evening began the guests had a great time dancing to the tunes. What a way to end the day. All in all I had a blast at Jodie and Deano's wedding and I won't forget that one in a long time. If you're looking for a natural wedding photographer to capture your big day in Lancashire or beyond, then be sure to give me a shout! I love exploring new places and would love to capture your story, your way. Enjoy more of my latest blogs below!